Ready to take a new experience of foam block slicing? Kashif Saeed General Trading provides a one-stop solution for hi-tech support. With customer-friendly services and great facilities, we offer a comprehensive range of block slicing machine and tailor-made technology for your production from single wire to 50 cutting wires, we can offer all solutions. With years of experience and highly qualified technicians, we always strive to provide innovative machines that match your expectations. We are the leading supplier of the machines and provide intelligent services to our existing as well as potential customers. We have future-oriented technology and special machines that guarantee exact foam cuts with high-end quality. 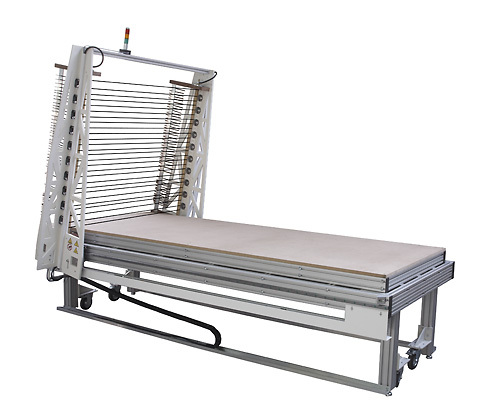 Our focus is not only on accurate processing of foam slicing but also on easy-to-use new age machines. With us, you will find the entire range for block slicing machine and warranty while making a purchase. Keep in touch with us and stay up-to-date without a doubt. Plus, you can follow us to get comprehensive details about the latest equipment.